A library is the real centre of learning in any institute where knowledge is stocked in the form of books, magazines, journals etc. In library students can learn beyond what is taught in the class room. 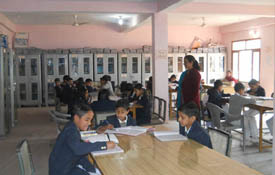 The Institute has spacious and well loaded library to provide a healthy environment for learners. The tastefully and meticulously collected reference books Magazine and newspapers are made available to the students for ready reckoning . The Library remains open throughout the year on all working days from 9: 00 a.m. to 5:00 p.m. The internet facility is available to the student & staff. The lab remains open even after working hours. 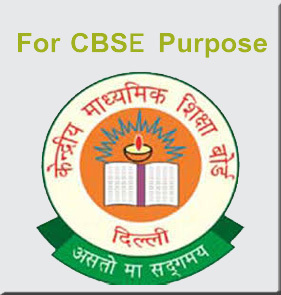 This system helps the students to get any information like library books, vacant posts etc. Though internet parents can get every information about their wards. The Institute provides ample transport services to all the adjacent areas. A sufficient number of buses have been arranged to carry students with in radius of 30 k.m. 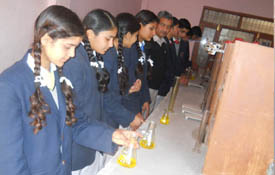 There is canteen facility in School Campus.